Don't Use A Crystal Ball To Buy A Minneapolis Duplex | Your best resource for buying, selling, owning and investing in duplexes and duplex homes. In other words, how much will the property appreciate? 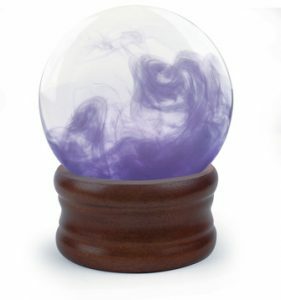 My crystal ball is shattered. The fact is I don’t know. Neither does anybody else for that matter. And whoever gives you a number is simply making it up. Unless, of course, they’re psychic. Then maybe they really do know. Whether you’re an owner occupant looking for a property to live in or an investor trying to achieve a goal, you should never crunch your numbers using something as speculative as appreciation to inform your decision. That’s what buyers did in 2003-2007. For decades the average annual rate of appreciation for real estate in the Twin Cities had been 6 percent. They banked on that being a minimum, and more often, counted on more. Then the bottom fell out. One by one for nearly a decade, properties purchased with the hope of appreciation hit the short sale and foreclosure market. The duplexes, triplexes and fourplexes simply didn’t cash flow from the moment someone bought them. And they certainly weren’t worth what the owner paid or had hoped they’d one day be worth. The moral of the story? Buy property based on what is and what you can control; not on what you hope it might be or a story someone makes up in order to look like an authority. If you manage well, cash flow will always be your reward; regardless of what the market’s doing.